Certain natural treatments can turn thin hair from being weak and vulnerable into a strong, vibrant head of hair. Loss of hair volume is one of the most common beauty worries among women today. Those with fine hair are especially vulnerable to hair loss and weakness. Today, we’ll provide you with five natural options for strengthening fine hair. Hair can become brittle, fragile, and thin for a variety of reasons. Some of the main causes are hereditary factors, taking certain medications, stress, environmental exposure, using aggressive products or procedures, a lack of vitamins and minerals, and hormonal changes. 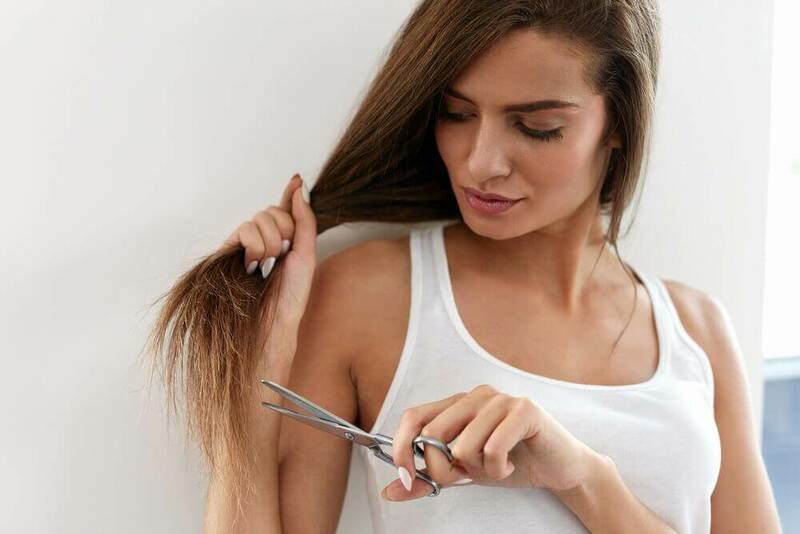 If you’re experiencing fine hair, today we want to share five simple and natural solutions with you so you’ll have a mane that’s full, silky, and strong. Don’t worry – these tips will help strengthen your hair. 1-Take care of your diet. What you eat is fundamental for having strong hair. Add protein to your diet through foods like lean meats, eggs, fish, and cheese. If you’re vegetarian, consume more grains and cereals. Choose fats that are of vegetable origin. 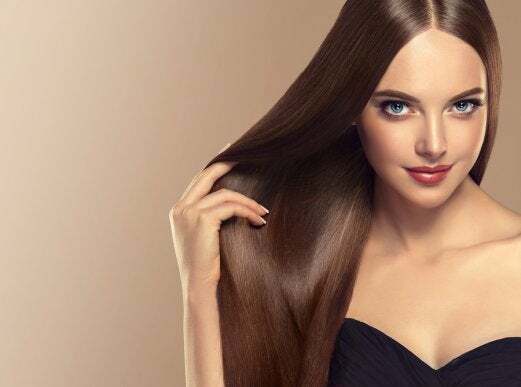 Nuts, avocados, sunflower oil, soybean oil, and olive oil are all excellent for strengthening fine hair because they provide linoleic acid and vitamins. In addition, make sure to also get plenty of vitamins A, B, and C. These improve the formation and maintenance of cells, along with your metabolism and antioxidant levels. Supplement your diet with folic acid, biotin, and sulfur. Not having enough of these substances will reduce cellular replication, which is necessary for having strong hair. Finally, don’t forget to drink at least six and eight glasses of water a day. Good hydration is essential for the regeneration of your hair. 2-Use masks to strengthen fine hair. Masks are always a good solution to common hair problems. Mix the above ingredients until it takes on a yellow color. Apply this to wet hair and leave it on for at least half an hour. Egg and aloe vera both have properties that are ideal for your hair. Eggs are an excellent protein source and aloe has regenerative properties that will strengthen thin hair. Combine both ingredients until you have a homogeneous mixture. Apply this mask once a week to get the best results. Fenugreek has had known benefits for hair for centuries. To strengthen fine hair, soak the seeds in water for at least ten hours. Once you have a thick mixture, apply it to the hair and leave it on for half an hour before rinsing. Some additional ingredients that you can use either together or separately include avocado, honey, egg yolk, and yogurt. An avocado mask is especially great for adding shine and strength to fine hair. 3-Use homemade shampoos and oils. There are certain commercial shampoos that promise more volume for your hair. However, natural products are easier to obtain, simple to prepare,more affordable, and healthier in the long run. If you like this idea, we recommend using a blend of garlic and onion, nettle, avocado, and castor oil. While the smell might be strong, don’t be afraid because it will absolutely help strengthen your hair follicles. 4-Stop the aggressive chemicals and procedures. Certain commercial hair dyes and shampoos can actually weaken your hair. They include aggressive chemicals like parabens, sulfates, dyes, and silicone. The regular use of curling irons and hair dryers at high temperatures is also harmful. If you want to strengthen thin hair, therefore, you should stay away from aggressive hair treatments for a while. Also be sure to choose natural products, and if you prefer to use a commercial brand verify that it doesn’t contain parabens. Stress is one of the main causes of hair loss. If you have fine hair and you’re going through a lot of stress, you’re more vulnerable to losing your hair. Try to avoid stress and live a calm life. The psychological effects of stress weaken your hair, causing it to easily fall out. Take care of your hair and personal health. If you want to improve your hair volume and strength, these five natural tips will help you achieve it.